Nacio el 15 de Enero de 1929. El Dr. King cumpliria 89 años en Enero del 2018. El Dr. King fue asesinado el 4 de Abril de 1968. Foto de archivo tomada en Atlanta Georgia el 24 de Octubre de 1966. Born on January 15 1929. Dr. King would be 89 in January 2018. Dr. King was slain on April 4, 1968. Oct. 24, 1966 file photo taken in Atlanta, Ga.
Four decades ago, Dr. Martin Luther King Jr. led what would be his last campaign—a strike in Memphis, Tenn., involving hundreds of working people who dared to take a stand for dignity and respect on the job and a voice at work with AFSCME. During the strike, King spoke to the workers and reminded them of the dignity of their labor: "So often we overlook the work and the significance of those who are not in professional jobs, of those who are not in the so-called big jobs. But let me say to you tonight that whenever you are engaged in work that serves humanity and is for the building of humanity, it has dignity and it has worth." Tragically, King never witnessed the success the Memphis sanitation workers achieved. The 64-day strike ended with a union contract for 1,300 members of AFSCME Local 1733. The strike is credited with reviving a dormant union movement in Memphis and initiating a wave of public employee union organizing in other parts of the South. 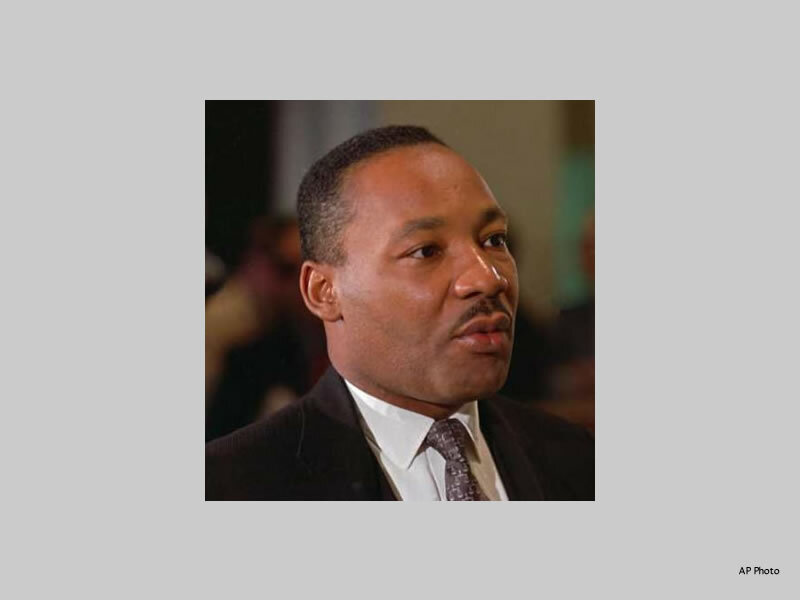 In honor of the strike’s 40th anniversary, the AFL-CIO is holding its 2008 Martin Luther King Jr. holiday observance this weekend in Memphis. More than 900 union and civil rights activists are gathering to reaffirm their commitment to making King’s dream a reality. A few years before the Memphis strike, King spoke of the importance of a strong labor movement in our country’s history. “The labor movement was the principal force that transformed misery and despair into hope and progress,” he said. This year, 40 years after Dr. King’s death, we ask ourselves, "How will things be for our children 40 years from NOW?" We owe it to him to keep up this fight—and that's exactly what we're planning to do. P.S. If you’re interested in learning more about the Memphis strike, pick up Michael K. Honey’s book, “Going Down Jericho Road: The Memphis Strike, Martin Luther King's Last Campaign” at the Union Shop Online. If you’re interested in learning more about the Memphis strike, pick up Michael K. Honey’s book, “Going Down Jericho Road: The Memphis Strike, Martin Luther King's Last Campaign” at the Union Shop Online. Pat Robertson Should Go To Hell Just As Soon As Possible Here's racist religious extremist Pat Robertson blaming the Haitians for the recent earthquake that devastated Port-Au-Prince. Robertson demonstrates just how ignorant he is every time he opens his mouth. Let the NY Post rot! We stopped buying the NY Post 20 years ago in February 1990 for being insensitive and down right racist. We don't know why it took so long for people to wake up and see the light. The NY Post has been a racist newspaper for many decades. We have never again purchased that sorry newspaper since the day that Nelson Mandela was released from prison in South Africa. On the day Nelson Mandela was released from prision the New York Post ran a stupid tabloid story on the front page ignoring the real news of the day. No one with any dignity in New York should buy the Post. Commentary By Mumia Abu-Jamal "Of Terrorist List and Listers"
Please join Que Lindos in requesting that the city of Atlanta place signs on the roads and highways around The King Center so that visitors can find it. While on a visit to The King Center in June of 2005 we could not find a single visible sign that indicated where the center is located. We believe that Atlanta could do better to inform its visitors. Que Lindos requests that the student body of every High School that bears the name of Martin Luther King sends a letter to the visitor's bureau of Atlanta and to its Mayor requesting the placement of signs that give visitors the direction's to The King Center. it comes to see that an edifice which produces beggars needs restructuring." Let's not forget the Ku Klux Klan has murdered more people in the USA than al-Qaeda.